The School of Panamerican Unrest, Pablo Helguera, 2006. Through novel-writing, play-writing, and the publication of manuals and guides such as The Pablo Helguera Manual of Contemporary Art Style, Helguera makes ideas accessible and mobilizes theory as a practical tool for everyone, rather than an elitist gateway open only to a few. A versatile contributor to the field of socially engaged art, he will discuss how he works with publics by circulating ideas outside galleries using humour, historical examples, and a breadth of approaches. 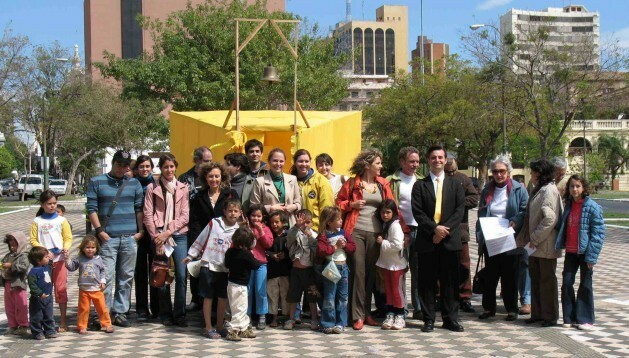 Pablo Helguera (Mexico City, 1971) is a New York based artist working with installation, sculpture, photography, drawing, socially engaged art and performance. His work focuses in a variety of topics ranging from history, pedagogy, sociolinguistics, ethnography, memory and the absurd, in formats that are widely varied including the lecture, museum display strategies, musical performances and written fiction. His work as an educator intersects with his interests as an artist, and integrates issues of interpretation, dialogue, and the role of contemporary culture in a global reality. Since 2007, he is Director of Adult and Academic programs at the Museum of Modern Art, New York. To find out more about Pablo Helguera, visit www.pablohelguera.net.